So! What happened in Europe? What am I up to? What’s next? Well let me fill you in! Europe started off on the wrong foot with me snapping my bike into pieces on the 1st Stage of the Tour of Ulster in Belfast. 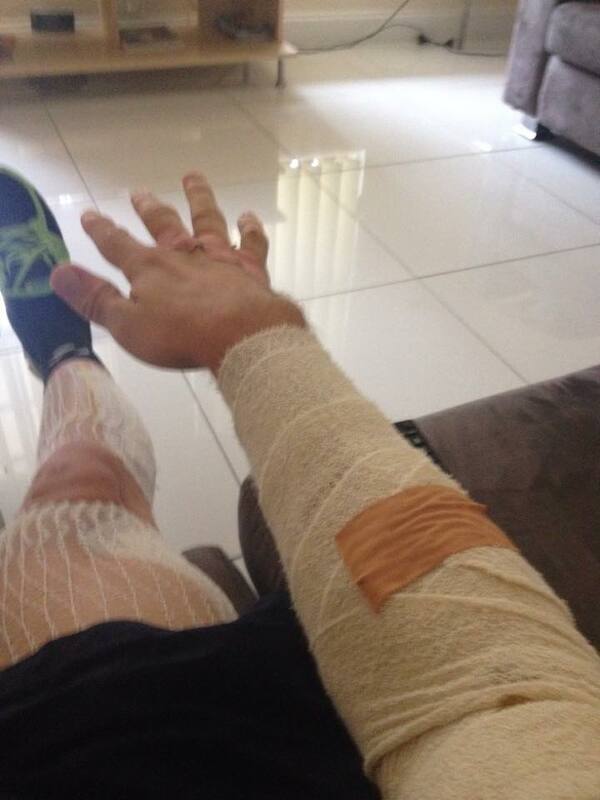 Unlike my crash 4 weeks prior in Adelaide I couldn’t do much about this one as I was taken out from behind. I came out of the crash with just bruising and swelling to my lower legs from being run over but my bike was worse for wear. That stage got abandoned and I was able to complete the rest of the tour on a borrowed bike. I jumped on another borrowed bike until the backup arrived and brought over a slick looking 2014 team issue Trek Madone. I tested it out with the rest of the team at the Shay Elliot Memorial cruising in for 16th after three of my teammates were in the break, Jesus finishing 7th! The time had come for the UCI 2.2 An Post Ras and I felt like I had okay form but I lacked legs early in the first 2 stages losing time. Heading into stage 3 I was sitting 27th GC over 6 minutes down. The chance came to jump across to the move of the day around the 60km mark and I took it. The day planned out well, I didn’t have the best legs but I rode the smartest stage of my life, I thought. I saved energy where I could and coming into the last 30kms with the peloton beginning to chase I dropped back to the car to talk with Frank. The 6 of us in the break started working well together like we had most of the day. I saw who was strongest on the long roads into a headwind and with 45-50sec at the 10km to go mark it was looking unlikely that the bunch would let us survive. We were down to 5 men and I covered the Team 3M rider. He attacked and so did I straight over the top of him inside the last 4kms. 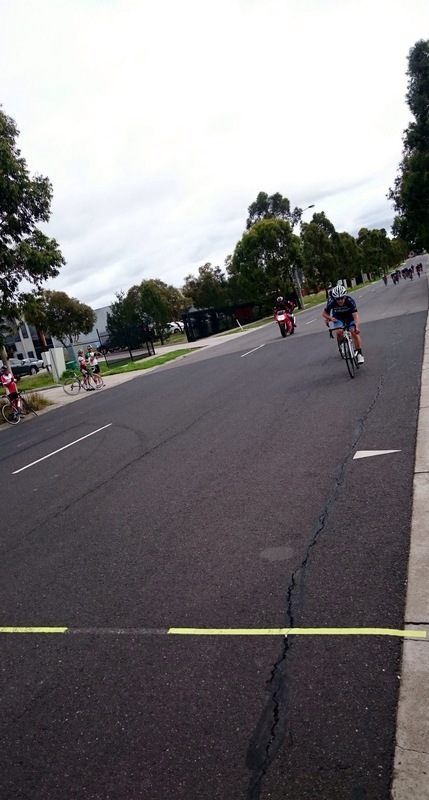 For a minute they all looked at each other and gave me a bit of space, but it didn’t last and they came across to me and at the 3km mark the peloton had arrived and it was over. I rolled in on the back of the bunch dreaming of what could of been but I wouldn’t say I was disappointed as I rode smart and left it out there. Of course I had ‘what ifs’ that night but it was over, time for the next stage. Subaru once again looking after us in another country. The next two stages hurt. Mentally more than anything. 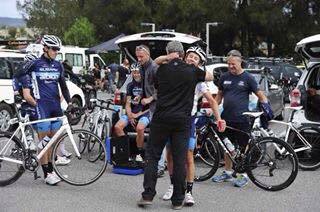 I didn’t put myself in the best position and paid the price getting caught out in the crosswinds both days. I wasn’t riding how I wanted. Both legs were attached, but they weren’t working how I was telling them to! The last two stages were chalk and cheese from the previous two. Finishing in the pack, something I came a long way not to do. I was on the up and my legs were feeling better on the bike day by day although a little tight in places, on to Belgium it was. After a day of travelling Daniel and I arrived at ‘The Farm’. A well known home stay for cyclists owned by Staf Boone. The home of Kingsnorth International Wheelers a cycling team with a prestigious pedigree I later found out. I was excited for our first race coming off the Ras, sadly it wasn’t what I had hoped for having to pull out half way through thanks to a swollen lower leg. Also making the trip from the Ras to Belgium was the NZ track team. In good kiwi spirit they helped me out and made their resources available to me. Rest was on the cards for several days to try get through the problem but stepping out again the result was the same. Catching up with Mudgway at the NZ headquarters in Belguim, was cool to see Agostino’s bike up on the wall. I was lame! Not happy. I rested a week trying to get one last race in to no avail. While this was happening Daniel crashed out snapping his bike, while Darcy was flying! 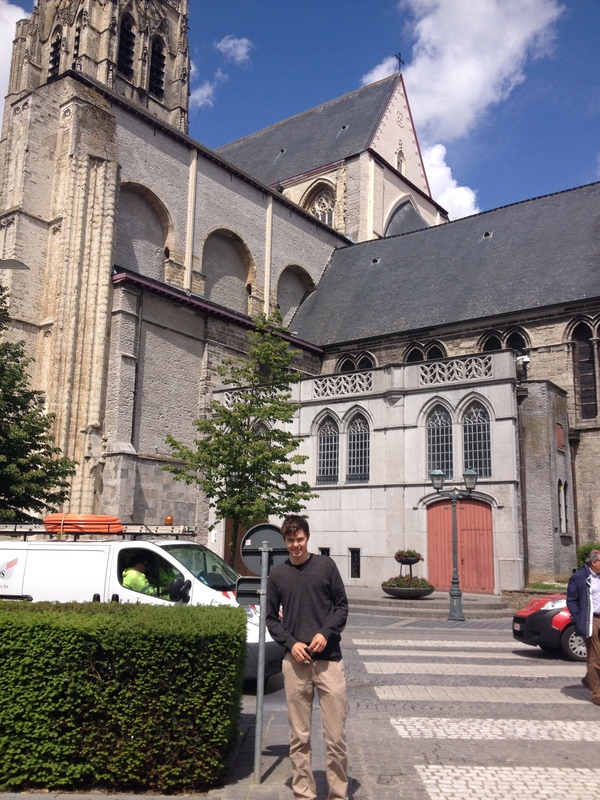 Belgium was everything they say; windy, narrow roads, full gas. If you’re not in the break your nowhere, simple as that. I arrived home and after sleeping for a day I was straight into the Dr and then on for an ultrasound. The news wasn’t good, an inflamed plantaris saw me on the sidelines for 5 weeks. Frustration was an understatement! I wanted to ride. Wind, rain, cold I didn’t care I just wanted to be on my bike getting ready for the next assault. Reflection just made me realise two things. One, it confirmed where I want to go with my cycling career. And two, I had unfinished business! The news was also bad on the Australian front. With races being cancelled the calendar has thinned out. In my break I have turned to other ways to drive my motivation along and get ready for the second half of the season. One thing is for sure I’ll be on the hunt for more racing to get me up to speed for the big goals I have highlighted. Massive thanks goes out to my team Subaru Albion and our sponsors for giving me my first taste of European racing as well my personal supporters who without I don’t think I would be in this position. Nice to be the profile shot! Great shot from stage 7 of the bunch behind! 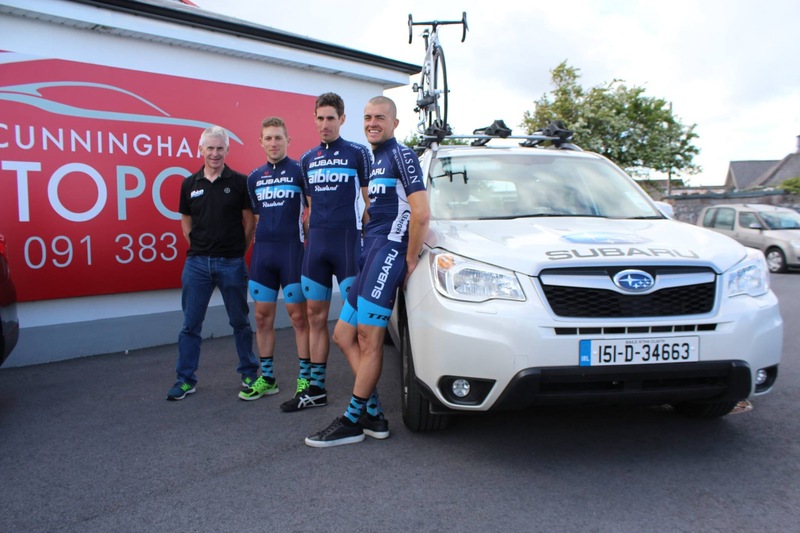 The Tour of Adelaide was set to be the 2015 NRS debut for Team Subaru Albion. For the group of guys going Darcy, MJ, Daniel, Richard, Adam, Paul, and myself it was the first time some of us had ridden together. We went in with high hopes, and here is how it panned out…. Stage one was 74km short with the infamous corkscrew climb 5km or so from the finish. 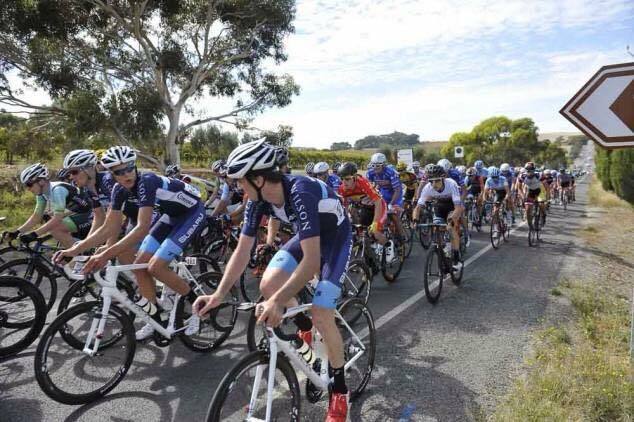 With the stage being short and many teams having Adelaide as there first tour for the season it was a smash fest early on with everyone trying to get an early break going. However, with everyone fresh enough and in the same mind set there was to be no break. Instead in was a whitewash of riders until the bottom of the climb, there it was simple you either had the position and legs or you didn’t. For us young Adam had both and went over the top in 3rd finishing in 7th for the stage in a select group of about 8 riders 51seconds down on a lone Patrick Bevin. In the next group it was Paul and myself 1minute and 23seconds off Bevin. Thanks to Adam’s ride he had rewarded himself and the team by taking the White Jersey (Young Rider Classification), and sitting 7th on GC as well as the team jumping into 5th place on Teams Classification. 100km was the longest stage of the tour was on the cards for day two. Five laps of a 20km circuit, with the plan of defending Adam and the White Jersey as well as going on the attack. Once again it was a fast start but coming into the 3rd lap the break was about to go and the whole team was having a dig to try and get away. Finally the move went and we had placed the Irishman MJ into it. With the previous attempt from Richard nearly sneaking away MJ knew the next move would stick and that it did. Here is where things went not so good for myself. After the gravel/cobble section of the lap where the bunch split either side of a tree on lap 3 I decided to try the left hand side for a change. As it was a slight dip I put the power down to look at moving up more, then within a split second, I had hit something and I was staring at my hands… Unfortunately the handlebars weren’t in them and as I tried to catch them my front wheel crossed up and I was sliding into the kerb. Unfortunately for MJ the breakaway got caught and it came down to a bunch sprint with Adam safely up there. The third stage was once again a short 70km. After crashing the day before the goals for my tour had changed somewhat. I now focused on keeping up the team moral. When someone crashes on tour it is easy for them to sulk and bring their teammates mood down with them, but that’s not me and with a jersey in the teams grasp there was still a lot to keep us happy and focused. Not knowing how I would go after having the scrubbing brush along with a couple stitches in my elbow I lined up with the rest of the brothers. For me the day was tough mentally more than anything, I struggled with the change in pace and terrain, also the fact that I wasn’t really in the position I pride myself, helping out my teammates. Most of the stage I just yelled at them when I got close enough to make sure they were switched on. I made it to the front once and sat there for a lap with an old friend Rowan. Sadly we didn’t get any tv time. A break went away with a lone rider just staying away from a fast bunch. But Adam kept good position all day and the guys stayed close by. He was now sitting in 6th on GC. The last day was tough especially if you were feeling one paced such as myself. An 80km kermesse with a bumpy downhill drag into a one lane right handed, concrete kerbs either side. Early on there was a pile up and half the bunch had been caught up behind it including MJ and myself. With Adam safely being looked after by Darcy, Richard and Paul, I decided to wait and try to get MJ back into the race. He would be more help than I was, so there we were chasing the bunch but MJ needed his breath back and we waited for the Budget train who had three quarters of their team caught up in the crash. We jumped on the back of this team pursuit with MJ managing to hang on and get back to the front of the race. For me one speed was all I could do, and man did it piss me off. I kept going until the commissaire deemed me too far behind the bunch and pulled me in. Even with that I still found away to try and egg my teammates on, so I got changed and went to the pit area to watch and wait. Unfortunately for Daniel a puncture had ruled him out also, we watched as Adam came across the line in 13th securing the young rider jersey, 6th on GC and the team 5th in teams classification. 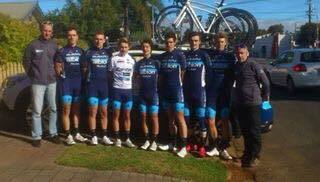 It was awesome to see a young team achieve a lot in our first NRS tour of the year. 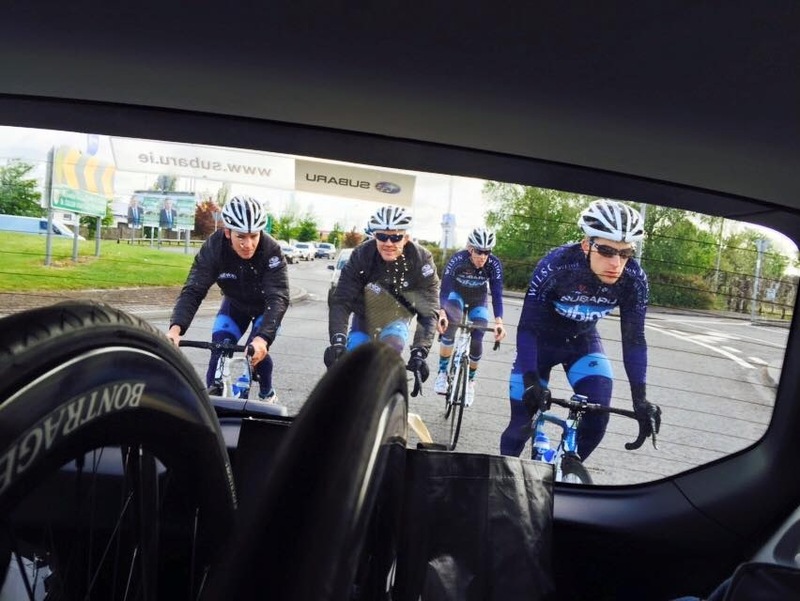 Taking a back seat saw others stand up and really show the potential inside this Subaru Albion squad. Thanks to the support we had from Frank, Toni the Exterminator, and Nik the Russian who looked after us to no end. Also Subaru Australia and Eblen Subaru for the slick wheels. On a personal note I’d like to thank my teammates for everyday coming to the doctors tent to see how I was getting on and the way they themselves rode a successful tour. After opening up my season with the team at Nz cycle classic it was off to Sydney for the team launch and then up to Toowoomba for Oceania champs. NZ Cycle Classic was my first time riding for GC (general classification). It was really interesting. A lot different to just doing a job for your teammates. I was looking at starting my season off strongly but felt I had missed an opportunity. Wrong decisions cost me in the end general classification but I left feeling positive and confident. I learned some valuable lessons very quickly and I’m looking forward to the next time. One thing I admired was my teammates belief in me which was through the roof even before the tour started. Their support was awesome and will be repaid. 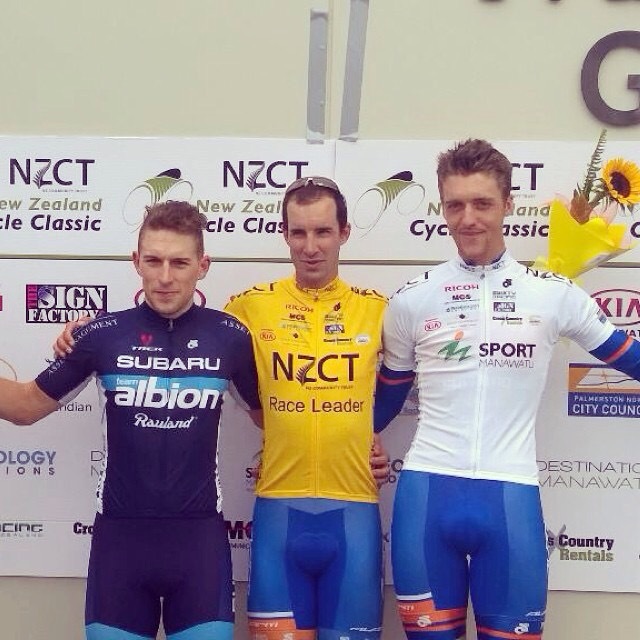 Getting a podium on the prologue was a one of the targets of mine heading into the NZCC. The team launch was a new experience for me. It was a good night out finally meeting all the team, supporters and sponsors. Toowoomba didn’t come to much as the break went up the road with young Richard Lawson in there for us. He eventually came back to the bunch with a couple others but that was all as the break stayed away by 2minutes in the end. Team presentation night. Meet and greet! Since then I’ve dialled it back a touch and I’m looking at building towards my next tour and my first NRS event of the year up in Adelaide. A week later I’ll be on a plane headed across to Ireland In the lead up to the An Post Ras, with a little excursion into Belgium for two weeks afterwards. Once again the An Post Ras is a UCI race, so I’m hoping to get there in good touch. I’ve heard its a bit like Southland. 8 days long, crap weather , and only 5man teams. The days are around 130-160km all week which I’m looking forward to. 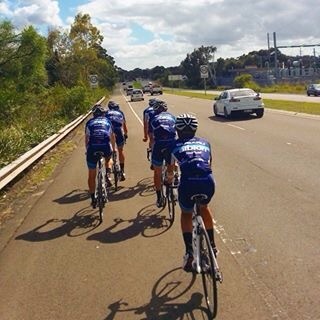 Out training with the team in Sydney in the build up to Oceania Championships. Even got clipped by a car one day! I’m really enjoying riding and racing my bike at the moment and I can’t wait to get into my next tour. The opportunities Subaru Albion have given me in such a short space if time is awesome. Not only me but there are a couple younger fellas in our ranks that I think can hit the mark in years to come, if they knuckle down. Between races I’ve been out racing around town, picking up a few Crit wins here and there. I’ll be sure to keep you guys updated as much as possible in the lead up and throughout. Also you can follow the team and I on our Facebook page, Instagram, or twitter. Thanks for all the support back home and now here in Melbourne. It makes the tough times a lot easier having so many awesome people behind you. If you want to find out more feel free to message me. Stage 1 – Morgan SmithMorgan Smith took third place in the opening prologue time trial, photo providedJan 28th, ’15. In brand new team colours for 2015, Morgan Smith rode to a brilliant third place in the opening prologue time trial of the NZCT Cycle Classic. 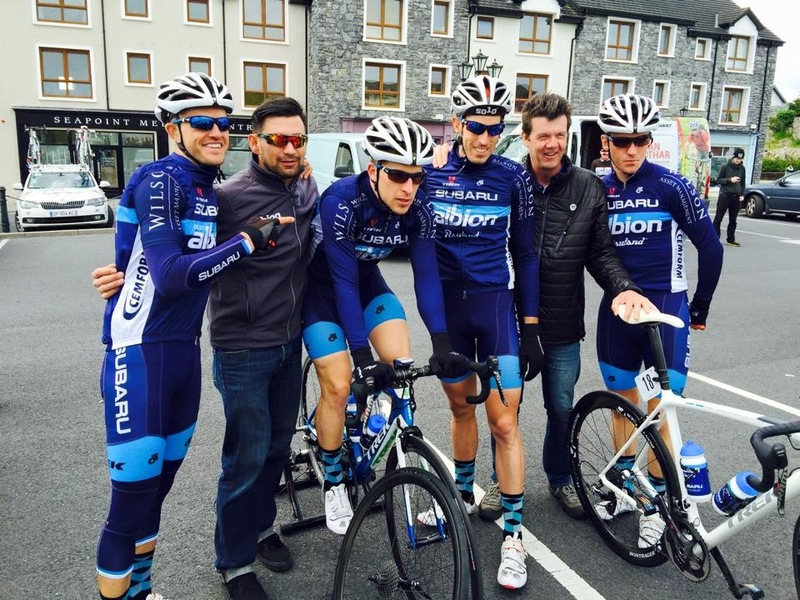 Afterwards the Subaru Albion rider took time out to speak to RoadCycling about the ride and the road to here. On the first day of his first outing Morgan has certainly made a big impression. Morgan’s third place finish in the prologue put him just 10 seconds behind stage winner Joseph Cooper and one tenth of a second behind Cooper’s teammate Fraser Gough. It was a great ride from Morgan, with there being another two seconds of daylight to fourth placed Daniel Barry. But as he explains to us, his journey to the podium today was pretty straightforward really. “With today being so short there wasn’t much tactics involved, just tried to go as hard as I could. For me the start and mostly the turn would be where it would be won or lost. I went out hard and coming into the turn I thought I was going ok. I chopped down the gears but still creeped out of it,” he said. Stay tuned for more updates from the New Zealand Cycle Classic. Check out our race report from today’s stage. via Morgan Smith – belief the boys had in me was awesome.